I found Susan Hill this summer when I was hankering for a Shirley Jackson novel. I have read almost everything Jackson has put out, and since I can’t perform memory charms on myself so I can read The Haunting of Hill House for the first time again, I went looking for something similar — a haunting ghost story, something on the modern end of the Gothic mode, something by a woman, something chilling and undefinable. Hill came up a lot on lists of “horror” and “ghost” books next to Jackson, so I scurried on over to the bookstore and picked up The Mists in the Mirror. It wasn’t Shirley Jackson, but there was something there that had me hooked, so I picked up The Woman in Black next. Before I get into discussion on either of those, let’s do our research on the woman behind the novels with our handy-dandy Five Fast Facts. She has written 56 novels, written articles and reviews for various magazines and newspapers, and has won awards for her work. She has won the Whitbread, Somerset Maugham, and John Llewelyn Rhys awards, and has been shortlisted for the Booker Prize. She writes fiction, crime novels, ghost stories, and more. Her most popular works include The Woman in Black (which has been adapted for the stage and the screen), The Mists in the Mirror, and I Am the King of the Castle. So let’s get into the fun bits, shall we? I’ll review two of the Hill novels I’ve read, and give you and overall impression of her work. I didn’t have the film in mind when I read this novel, because despite the movie cover edition I have, I totally forgot there was a movie. This turned out to be a stroke of good luck, because when I read the film synopsis at the end, I saw that the film was an entirely different beast all together. They were nothing alike. Whether you’ve seen the film and hated it, or have never seen the film, give this book a shot. You might be surprised by what you find. I read this book in early October, partly as a way to wake up that academic mind that I’d been using for three years and then, suddenly, wasn’t using at all. In college, I focused my literature studies on the Romantic, the Gothic, and the Feminine, and this book really, really delivered for me. All those signs were there that I had studied in the classroom were vividly awake again in my own living room, far removed from academic discourse and syllabi. I’ll discuss this more in detail, but for now: a short synopsis. The novel begins with a retired lawyer, Arthur Kipps, who, despite being surrounded by family and holiday cheer, is unable to shake his glum mood. He wanders outside, and under the cold stars, decides that the only way he can rid himself of his burden is to tell his story by writing it all down. He sets to his task, chilled and afraid, and the story begins. As a young man, he was asked to travel north to some barren nowhere to complete the business of an elderly woman who has died. He is to attend her funeral, see to her house, and then return with any necessary documents and information for his supervisor. He arrives in the small town and realizes that a weight of terror and foreboding hangs over the strange place like a shroud. When he sees a strange and sickly woman int he cemetery, and then again in the ruins of an abbey near the dead woman’s home, he slowly begins to understand that things are not as they seem. Complete with terrifying ghostly encounters, haunted houses and ruins, and a plethora of secret keepers, this novel is a perfect modern Gothic story and I could not put it down. Like Jackson, Hill has an understated way of dealing with the ghosts and horror in her novel. There are no jump scares, no bloody specters, or King-like gore — instead, we are often caught wondering if there really is a ghost at all, or if it is all psychological. Hill plays with various themes of isolation, effect of environment, and maternity. I won’t spoil, but Hill has some really interesting notions of mother as horror, which are very much at work in the classics of the genre. The maternal is made horrifying by its control, its natural power, and its all-encompassing body. I love this kind of stuff! Its so fascinating and can really get to the meat of social issues that we have today. I’ll talk about the Gothic genre in more detail later, but know that it loves the subversive, the out-of-bound, the things we shouldn’t talk about. Often, this involves women, since they’ve always been a subject of great debate because of their other-ness from men. Hill really encapsulates this conversation about maternity and motherhood, about the mother’s duty and her control, about her body, and about her role in society — especially when her motherhood isn’t seen as chaste. I seriously enjoyed this novel. It stimulated those Gothic lobes in my brain that hadn’t had exercise in a year, and helped me to reclaim my reading from my depression, which was strong and unforgiving while I was reading. It may seem counterintuitive to read about isolation, death, loss, and horror when you’re fighting a depressive episode, but my brain, instead of absorbing those feelings and sinking in them, began to pull them apart and stare at their insides, to see their beating hearts and find out what made them so effective. For a while, I could trick my brain out of depression and give it something else to pick apart that wasn’t me! I totally recommend this book for fans of ghost stories and psychological thrillers. It can be a little slow, because Hill writes in a way that slowly unfolds, which is more characteristic of earlier eras in literature. Today, books seem to move so quickly and throw everything at you at once, that if you put it down, you might forget what was happening. Hill is more concerned with the psychological progress than the plot progress, so be prepared to sink into her lyricism and be taken on a serious mental journey. This was the first book I read by Susan Hill, and I have to say I much preferred The Woman in Black. There wasn’t much going here for me. Maybe the complete lack of women has something to do with it? 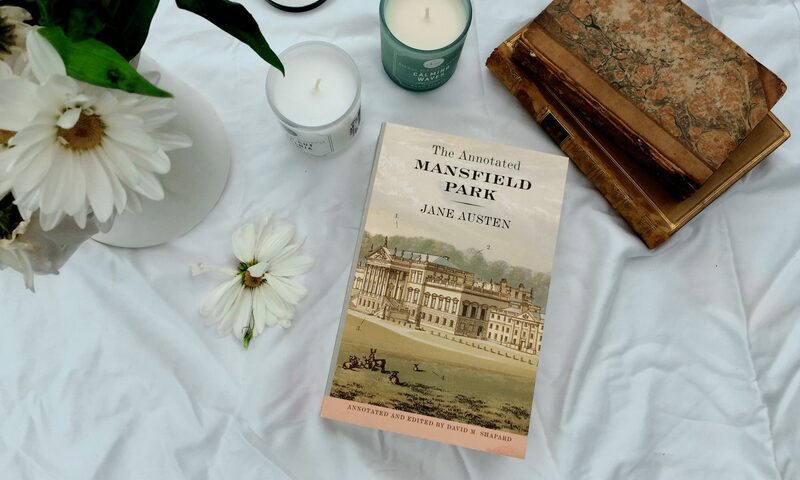 This novel begins with the passing of a story, much in the same way that The Woman in Black did, as Sir James Monmouth, an elderly gentleman, hands his life story over to a young man in a club. The young man reads with us, as we follow the life of Monmouth, a young man who has spent his entire life abroad with a strange guardian and a severe case of wanderlust. He returns to England in order to hunt down the story of Conrad Vane, an explorer whose journeys he had followed as a child, and then as an adult. As he begins to unravel the strange story of the mysterious Vane, he finds more than he bargained for. I enjoyed the bits of haunting at the old school which Vane attended, and the final scene, though strange and uncertain, supplied me with a jump scare twice — when a flock of crows took flight suddenly near where I was reading, and again when my grandmother came out of the house unexpectedly. I was caught up in the thrill of the story both times, and I think that’s where Hill’s real power lies. She entraps you with her story telling so any average noise or sound in the real world can give you a start. Unlike The Woman in Black, this story is so vague, so unresolved, and so obscure that I’m not entirely sure what happened in the end. It didn’t leave a huge impression on my mind other than “what the heck was that about”. That, I think, is the strength of a good ghost story. It isn’t supposed to be explainable, or logical, or understandable. Its power is in its utter incomprehensibility, in its refusal to be explained away, in its insistence that it has no rules and is not bound to play by ours either. It would probably be as enjoyable on its third or tenth rereading because of this vagueness. Its that moment when you set something down and return to find it gone, and when you go to look for it, you return to find it exactly where it should be — that strange feeling that “no, I’m not crazy! It wasn’t there before… was it?” The eerie feeling that you’re being watched, even when you’re alone. The strangeness of picking up the phone before it rings. The modern mind can ruin a ghost story by trying to explain it, to destroy it with science and facts and figures. Hill, I think, deliberately refuses to tell you what is going on, or what happened, because pulling back the curtain would kill the mood. But what if we pulled back the curtain and nothing was there? My biggest complaints are the lack of female characters beyond the stray fiancé or wife, and the lack of originality between books. While the ghosts change, and the settings shift, I feel like I’m always reading the same protagonist. I can’t create much distinction between Arthur and James. I really wish she would use more women in her stories. These novels are entirely male centric, and it’s frustrating to read that not only from a modern author, but from a woman. I will, however, give her half marks for the maternity in The Woman in Black. I might check out more of her books. I think it’s more, if I found them at a used shop or saw one on the shelf I’d pick it up, and not so much of me going to hunt them down and read them right away. I enjoyed them, and they were a fun ghost story, but there isn’t anything in them that sticks out to me. I probably won’t check out her other genres, mostly because Crime doesn’t really appeal to me. I love her writing style though! I only wish her characters could live up to it! Check out The Woman in Black if you want to try her! Have you read any of Hill’s work? What did you think?